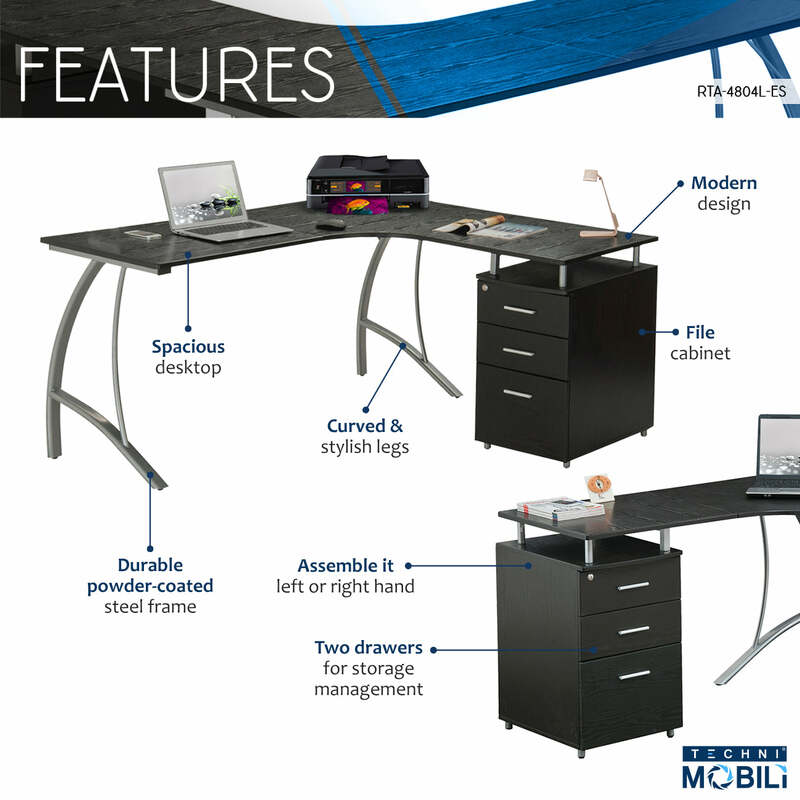 This modern Techni Mobili L-Shaped Computer Desk features a spacious desktop in a curved boomerang shape with a built-in locking storage cabinet and a hanging file cabinet. Curved legs are made of scratch-resistant powder-coated steel, while desktop and storage cabinet are made of heavy-duty engineered wood panels with PVC laminate surface. Color: Espresso.